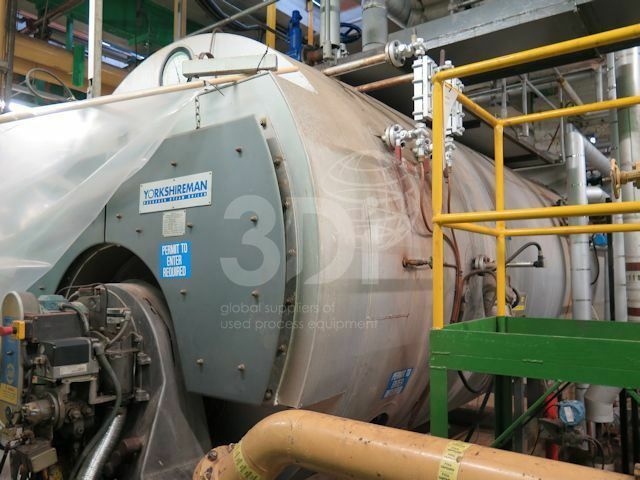 Used Packaged Steam Boiler, manufactured by Byworth Boilers, 2006, model Yorkshireman, type YSY6000. Output 6000kg/hr. Fire tube passes: 2. Design pressure: 215psig. Design Temperature: 250degC. Test pressure: 323psig. Max working pressure 200psig. Fuel type: dual fuel (oil and gas). Standard/Class: BS2790 1992 Class 1. Complete with a Hamworthy burner.